The musicians of Eboracum Baroque gave a performance and two interactive workshops including live music and art and craft activities at The Milton Rooms in Malton. The story, written and illustrated by Jess Courtney-Tickle follows a little girl called Isabelle and her dog, Pickle on the adventure of a lifetime across the changing seasons. 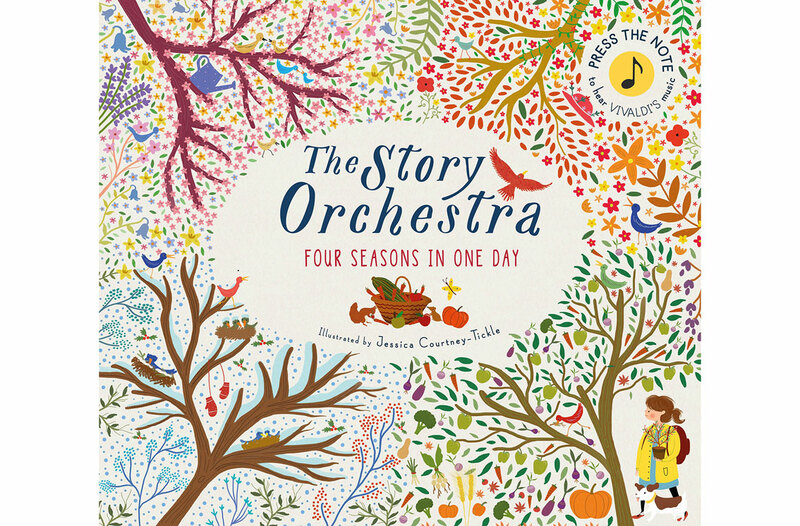 The wonderful music of Vivaldi’s The Four Seasons performed on baroque instruments alongside the narration of the book and projection of beautiful illustrations. Following the performance there was a craft activity and a musical workshop led by Chris Parsons creating a thunderstorm body percussion piece to tie in with the seasonal theme. This unique event for Key Stage One children was an engaging, interactive way for them to hear live classical music. Eboracum Baroque are a group of young professional musicians specialising in the performance of baroque music. They are passionate about education projects and making baroque music accessible to all ages. Jess Courtney-Tickle is an illustrator and writer whose book The Story Orchestra was long-listed for the Waterstones Children’s Book Prize in 2017.